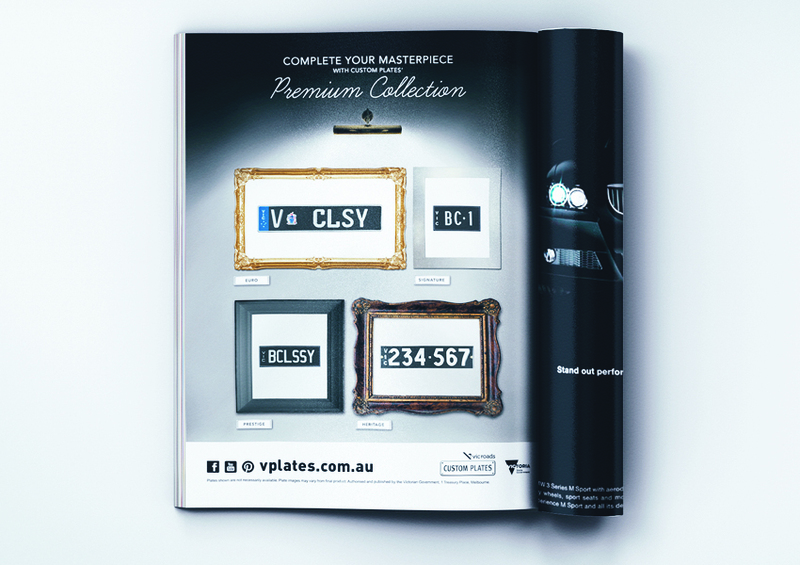 VicRoads engaged our services for the the creation of a Facebook page for Custom Plates, accompanied with various Facebook apps, YouTube videos (Animation and Filming), Pinterest posts and community management for various competitions, print advertisements, targeted creative campaigns and new product launches. 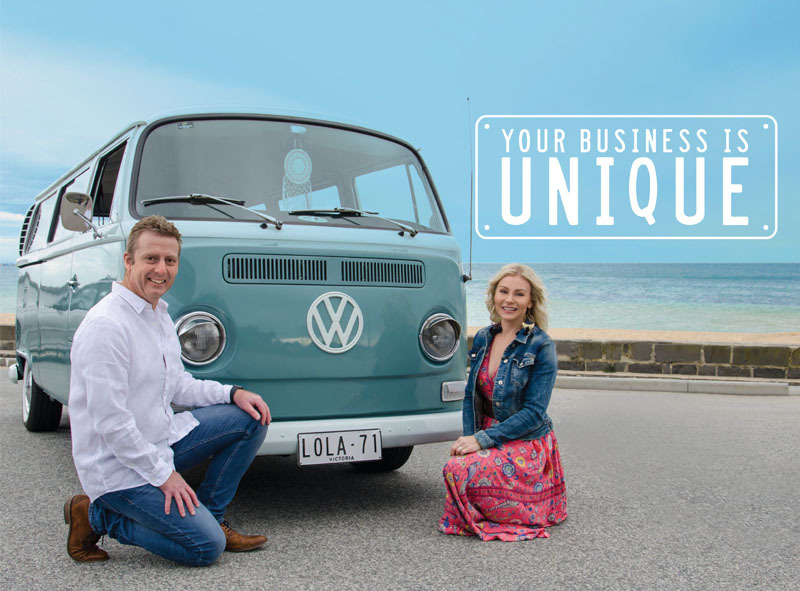 Notable and successful collaborations with Custom Plates include a variety of social media executions, designed to drive traffic to their social media platforms: Facebook, Pinterest and YouTube. Show UR M4TES UR AUSSIE PL8s Campaign // This campaign was targeted to embrace the Australian spirit, with common Australian themes of mates coming together in an iconic beach setting. 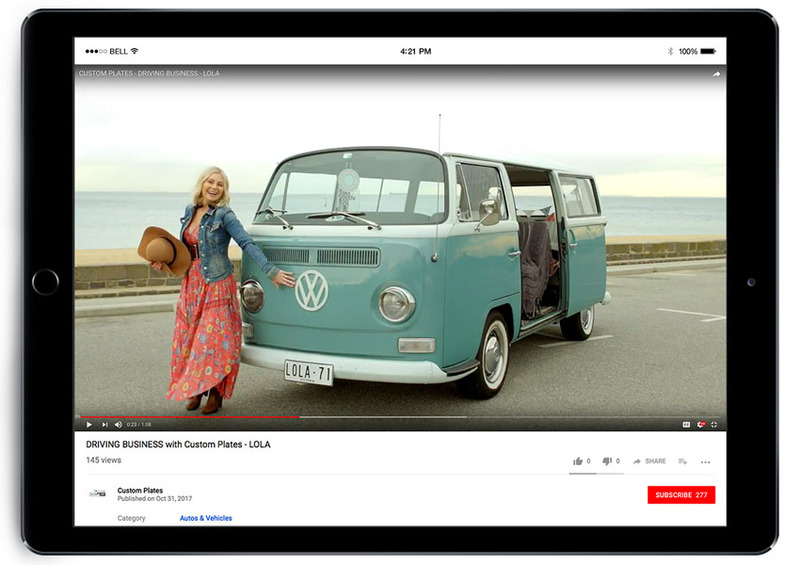 The short video, released on Australia Day, was highly successful throughout social media sharing, and reached 70,000+ views on YouTube. The video reached 142,000 users across social media platforms. Facebook Page // Our team created the official Custom Plates Facebook page, incorporating social media strategy, community management plans and monitoring parameters as well as the development of a Facebook App. 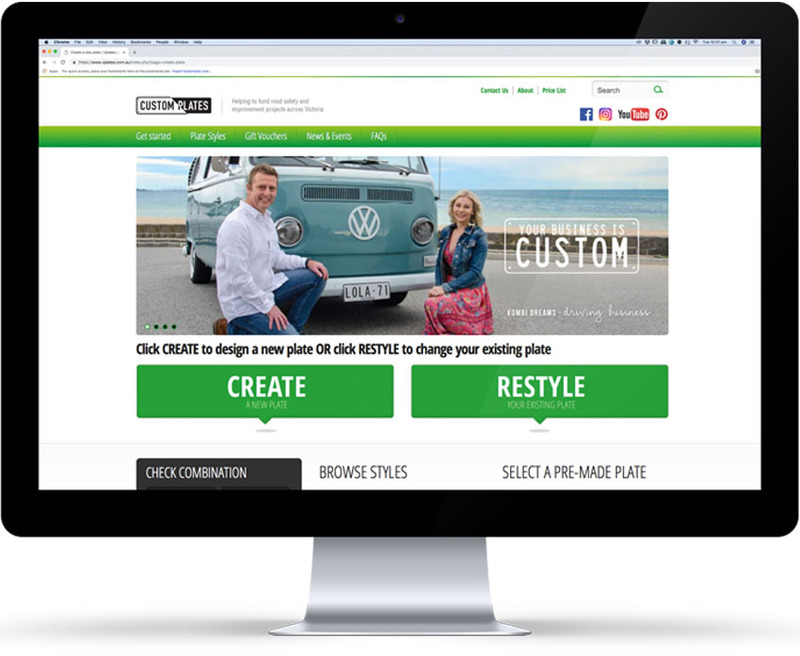 The Custom Plates Facebook page has become a strategic platform for launching further promotional and advertising campaigns. The Facebook page has grown to a following of over 16,000. I LOVE Campaign // The ‘I LOVE’ campaign incorporated the production of a short video. Three monochrome animals: the zebra, panda and dog, reflected the new Custom Plates’ new black and white plates. Mother’s Day Competition // This integrated campaign featured the theme of ‘Super Mum’ and included Pinterest posts, Facebook posts and digital banners that consistently delivered the superhero message. By directing traffic to the Custom Plates Facebook page via the competition we were able to build a bigger online following. 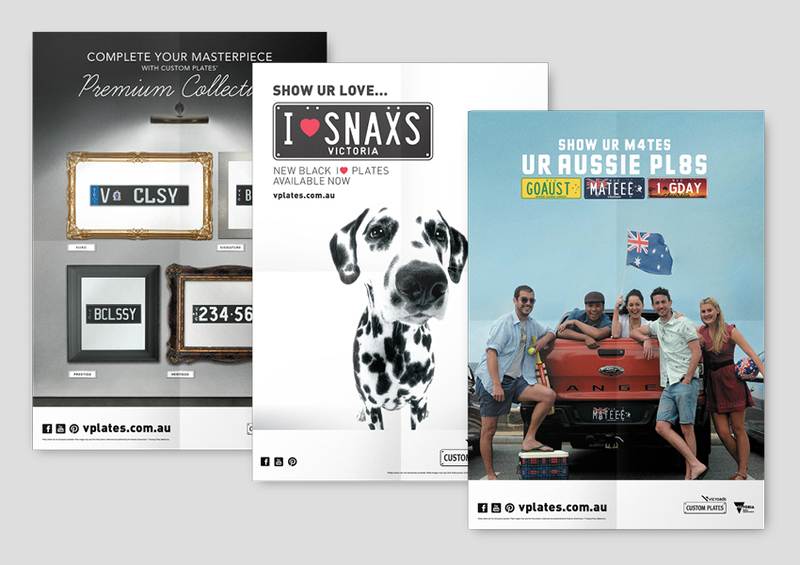 Premium Plates Campaign // We were engaged to create a separate creative campaign for the Premium Plates range which included the production of both digital and print ads, landing page and supportive marketing materials.